Online marketing offers small businesses the opportunity to promote their products or services at significantly lower costs and on a much larger scale than traditional advertising methods. However the entire gamut of online marketing tools - email, social media, blogs, websites, online customer forums, search campaigns, online ads and affiliate marketing to name a few - also adds to the perplexity of choosing the right marketing mix. 7 #SmallBusiness #OnlineMarketing Must-Do's - How to Choose the Right Mix for You! Whether you are just diving into the world of online marketing or looking to optimize what you already have, these seven tips should prove to be effective ways to promote your business online. Set up an appealing business website: Designing your website does not have to be expensive or cumbersome. Online website development sites such as WIX and SiteSell offer affordable and easy-to-use WYSIWYG (what-you-see-is-what-you-get or template-based drag and drop) website design solutions. Depending on the pricing plan, they typically include access to royalty free templates and images, web hosting, email and domain name registration, building an online store, and basic website analytics. Be sure to put some thought and effort into communicating clearly (and simply) what your company offers and how your customers can do business with you. Clean and simple is better than complex and convoluted. Ask a trusted mentor or friend with some marketing know-how to check out your website and get feedback on how you are positioning yourself and your brand. Just because you understand it may not mean someone new to your product or service will. An outside, unbiased opinion is invaluable. If in doubt, simplify! 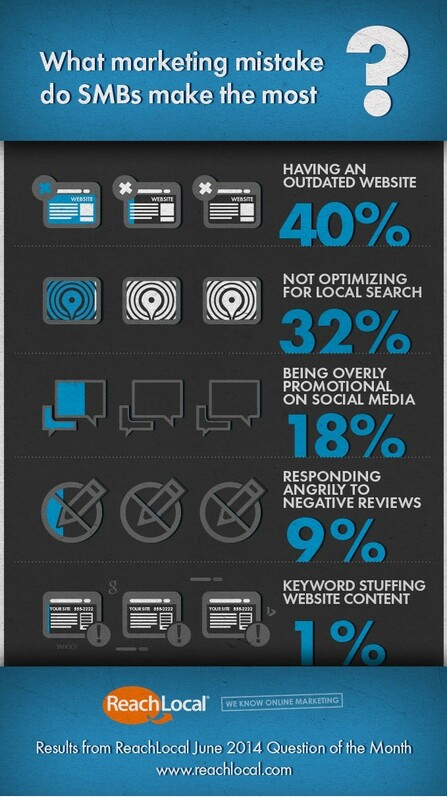 As you embark on implementing an effective online marketing strategy for your business, here is an Infographic by ReachLocal outlining online marketing mistakes to avoid. Build and document a content strategy: The first step in selling is to solve a customer's problem or pain point. A blog is a great way to provide solutions and to demonstrate your subject matter expertise. A well-written blog can also drive traffic to your website. Consider hiring a search engine optimization (SEO) expert to identify key search engine phrases that your target customers are using. Incorporate those key words and phrases in your website content and blogs. Have a similar content strategy for submission of articles to relevant websites and industry publications. However, remember that you are not just writing SEO-friendly content for search engines; your customer must find your content informative and valuable or they won't stick around long. Lastly, remember to document your content strategy to improve your odds of implementation success. Ensure you are listed in online directories: To attract new customers, they must be able to easily find you. Put your business on the map with online directories such as Google Places, Bing Places and Yahoo Small Business. Design social media offers and giveaway campaigns: Social media helps create business awareness when your updates are shared or re-tweeted, engaging a growing audience in digital word-of-mouth fashion. Almost everyone loves something for free, so consider tying promotions and giveaways into your social media campaigns. Ask your existing customers to follow your page or profile and share the giveaway with their social media network. Twitter Offers and Facebook Offers are a great place to get started. Bonus Tip: Check out The Art of Social Media by social media gurus Guy Kawasaki and Peg Fitzpatrick for over 100 great, easy-to-implement ways to really bolster your social media efforts. Create customer involvement: Use Facebook, Twitter and YouTube to generate customer involvement. For instance, design a contest where you ask existing and potential customers to submit witty slogans, product names or creative promotional videos. Perhaps offer stickers, badges or other (virtual) collectibles to give your repeat customers bragging rights they can share with others socially. FourSquare, GetGlue and others have done a fantastic job with this tactic. Create video content: Not only is video-based advertising skyrocketing, but video content consumption on computer, tablets and smartphones is becoming the standard. 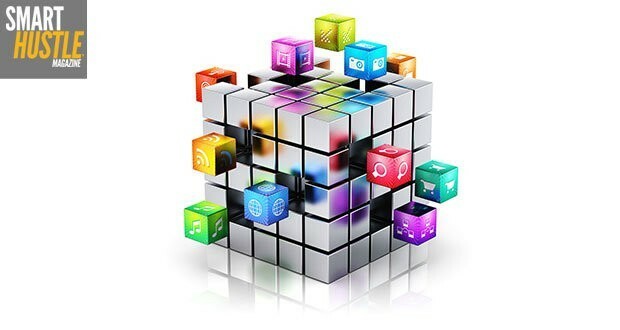 Thankfully, tools and technologies to create videos have also become much simpler to use and are much more accessible. From product or service overviews to customer testimonials, video content is king online. Use sites like Vimeo or YouTube to share your videos, create a quick but creative Vine video and consider an AdWords for video campaign to promote your videos. For those that feel they just don't have the skills to create their own videos, check out Fiverr or eLance to hire a freelancer and ask them to create effective and engaging videos for very little cost. Email marketing: According to a 2012 McKinsey Survey, emails are 40 percent more effective at acquiring customers than social media. Use email marketing and relationship management software optimized for small businesses such as Infusionsoft, Mailchimp, Mailify, ConstantContact, Contactually or AWeber to design and send your monthly e-newsletter and promotional campaigns. Marketing pioneer John Wanamaker appropriately once said, "half the money I spend on advertising is wasted; the trouble is I don't know which half." According to the October 2013 BrightLocal and ChamberOfCommerce.com survey on small business (SMB) marketing, the average small business spends only $400 a month on marketing, with 46 percent of the marketing budget going towards digital efforts. Given the limited resources of the typical small business, it is absolutely essential to identify their most effective online marketing tools. Unfortunately there is no one-size-fits-all solution in marketing a small business. You must identify your target customers, figure out which online channels they prefer and build a credible presence there. Analyze what drives traffic to your website, review what the competition is doing and closely monitor the results of your online marketing efforts. Only then can you boost what's working and tweak or abandon that which isn't. What's worked for you in marketing your small business? What have we missed? What absolutely didn't work for you and why? Where did you find your greatest successes? We'd love to have you share your advice with your fellow readers.